I always think you can’t go wrong with a loaf cake. Some of the best and most classic of cakes lend themselves brilliantly to this bread-like shaped bar of deliciousness. Lemon drizzle loaf anyone? Slice of banana bread? Perhaps a carrot cake loaf? I’ll take all three. 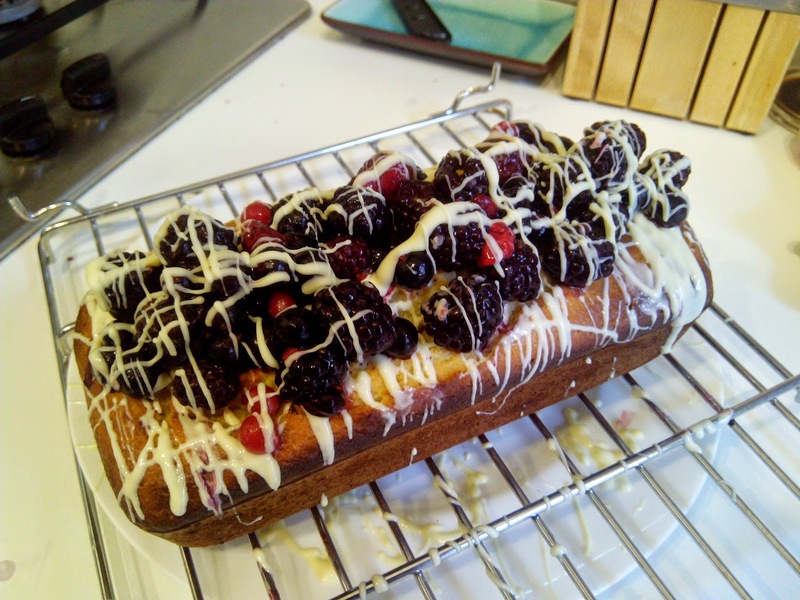 Low and behold the Lemon Yogurt Poppyseed Loaf, with summer berries and a white chocolate drizzle. 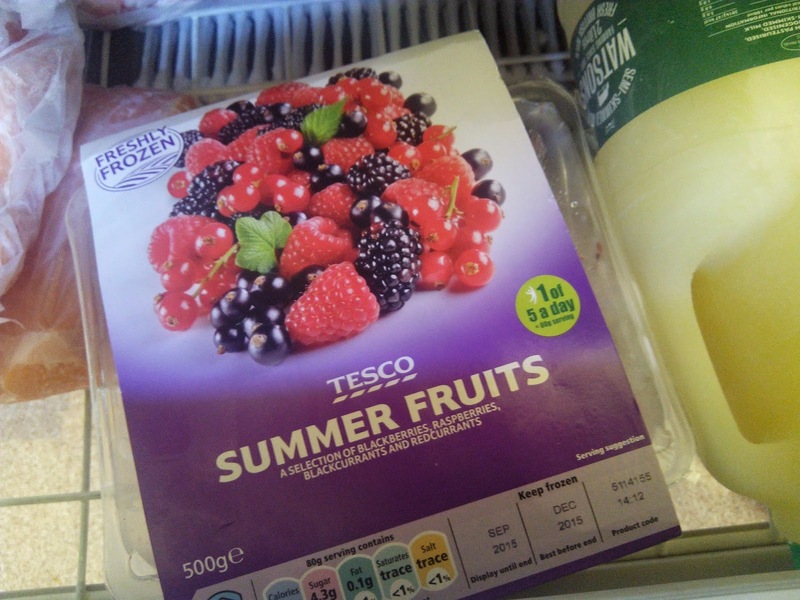 For £2 you get about twice as many berries frozen as you do fresh and after 20 seconds at full whack in the microwave they defrost pretty perfectly (careful though, too long and you end up with berry sauce – a mistake I’ve previously made). 1) Mix the flour, almonds, baking powder, caster sugar, poppy seeds and lemon zest in a bowl. 2) Separately, in a large jug (or blender if your lazy like me) combine the yogurt, eggs, oil and lemon juice. 3) Now combine the dry ingredients mixed in your bowl well into the wet mixture in your jug and pour into your loaf tin (which you will have greased already, naturally). 4) Pop this into the oven for 40 minutes at 180 degrees celsius. 5) Once out of the oven, leave out to cool in the tin for 5-10 minutes, then take out of the tin and leave for a further 10 minutes. Now comes the fun bit – berry placing and white chocolate drizzling! 6) Melt your white chocolate in the microwave and then…drizzle away. I like using a small dessert fork as you instantly get three little drizzles going on at once, but a knife does pretty much the same job. 7) After one layer of drizzle, pop on your berries- the melted white chocolate should help them stick. Then, just because it’s so much fun, drizzle again! So much so it hardly lasted a second in my home!